The Albany Neighborhood Naturally Occurring Retirement Community (NNORC) helps people aged 60 and over age in place. 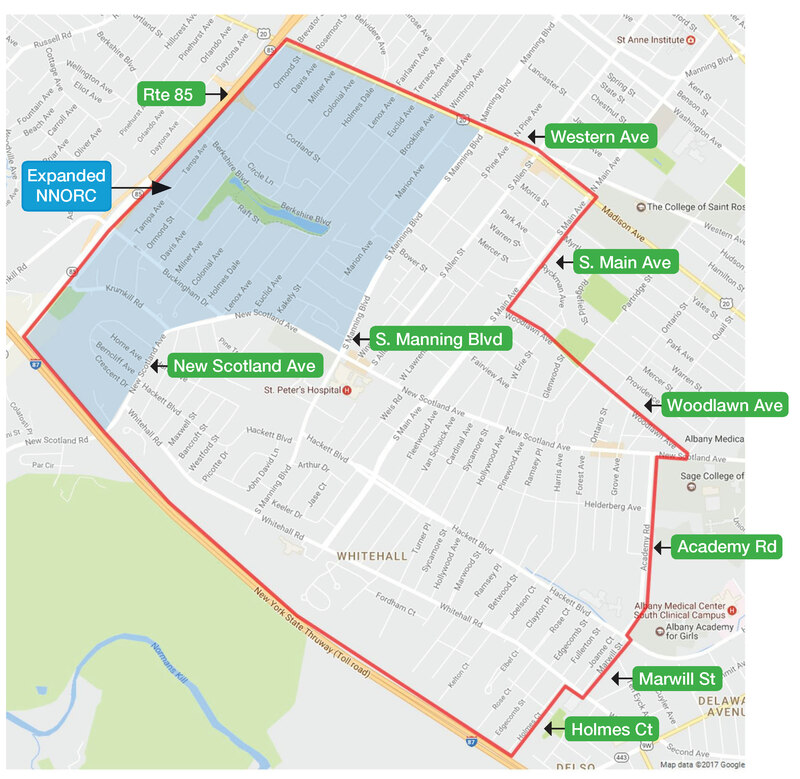 NNORC staff coordinates services and community resources that help seniors maintain their quality of life and independence, access services, and remain connected to their neighborhoods. By supporting aging in place, NNORC not only helps seniors but contributes to the diversity and stability of their neighborhoods. See NNORC Neighborhood map . The Albany NNORC is made possible through a grant from the New York State Office for Aging.